Writing “Loose Threads” gives me joy. Searching for topics opens my mind to possibilities of stringing words together to make an image. I grew up reading and that began my joy of writing. A few works are published in magazines. Most, however, are published in newspapers in Montana where I grew up and graduated from the University of Montana Journalism School and in Oregon where my husband Gordon and I raised two daughters and one son. A weekly column “Heavenly Daze” captures the early years. The “Down to Earth” column leaks the middle school antics. Newspaper reporting and television commercial writing is forever my career. Creating snippets of life in a column like “Loose Threads” is my retirement pleasure. “Loose Threads” has been published in the Washington Stars Quilt Guild newsletter for ten years or so. 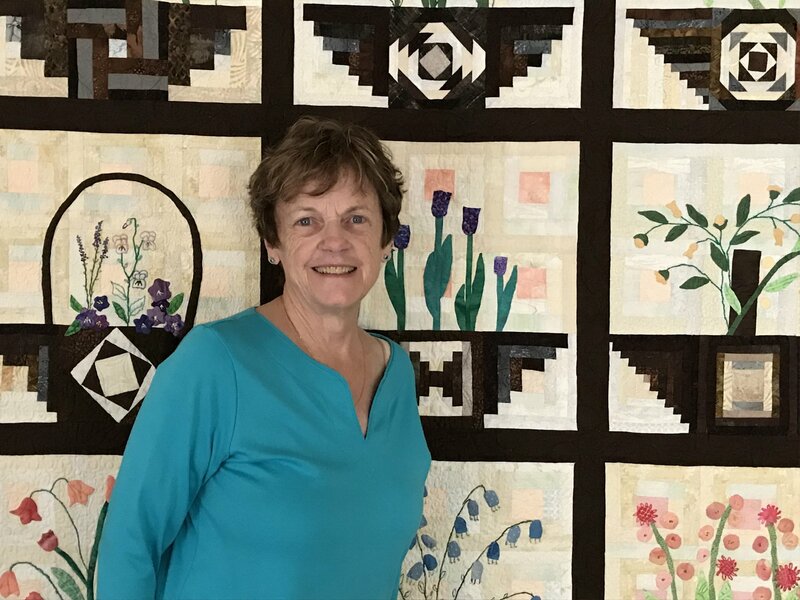 Each month the column features an item or two about quilts and quilting while adding a whimsical side to living a life one stitch at a time.